Business risk, personal protection and insurances… Are you covered? Running a business always has some element of risk so it’s not unusual to look for an insurance policy to protect the business. Whether it’s professional indemnity insurance to cover the risk of making a mistake, employer and public liability or business contents insurance most businesses have some form of insurance in place. You may also just be starting out or have recently incorporated your own company having taken the plunge into the freelance market. 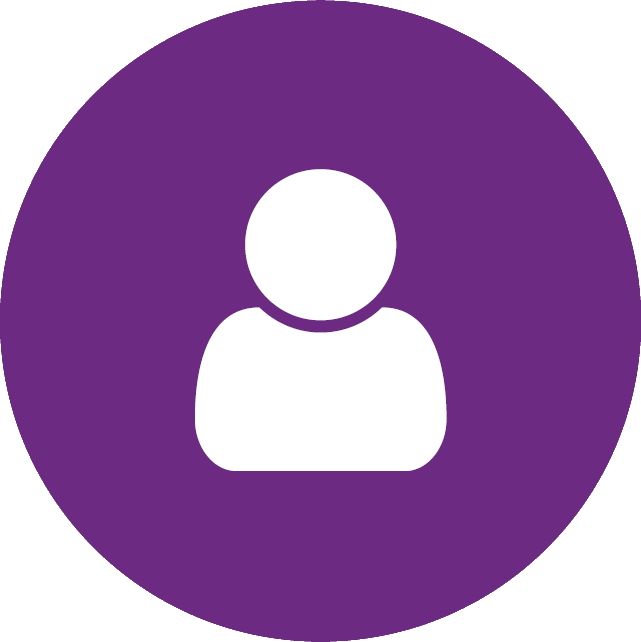 If so you may have weighed up the differences between being employed and your new status as a contractor but not really investigated whether some of those secondary benefits as an employee, such as sick pay, could still be available now you are on your own. Business insurance is important but what should you think of when starting up and what is appropriate once you are established, running your own company and want to take a more professional approach to your business. 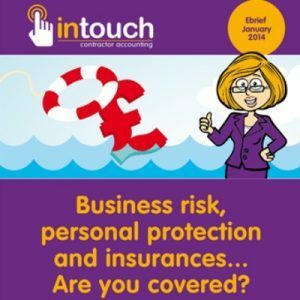 In this edition of our monthly ebriefs brought to you by Paul Gough, Managing Director of InTouch Accounting, the personal online accounting adviser for contractors and freelancers, we look at business insurance and protection plans and, in particular, policies designed to give you, personally, some form of protection against life’s uncertainties. After all, these policies were often taken for granted in your former life as an employee, but still remain important as an independent contractor. Remember that your company and you are legally distinct. We must therefore consider insurances appropriate for the company and the business it operates, but also look separately at your personal needs and what’s right for a serious contractor. Business insurances are really about covering the risk that something relating to the business could go wrong and protecting the business assets should that disaster happen. Remember that the company could be sitting on quite a bit of money earned by you and left in the company for a rainy day, and even if not so now, possibly it may do so in the future. You shouldn’t really be leaving those funds at risk to a claim made against the business, well not if you’re sensible. Professional Indemnity Insurance (PII) is designed to provide cover against both the costs of defending a claim and, if that claim is successful, paying damages up to the policy’s level of indemnity (the maximum amount that will be paid out under the policy). You may think that the risks are very small, they probably are, but nowadays many clients and the agencies through which your contract is obtained look for PII cover as part of the contractual obligations. As a quick word of warning, it’s often the case that contracts expect PII to be in place and also state the minimum level of indemnity cover; but often this requirement is not followed up by the agency or client. This should not mean you ignore the contractual obligation. Also a common mistake is to overlook the fact that the company’s assets include any cash held in the company, and that you personally could be liable, as a director, if your company fails to meet its contractual obligations. It’s always better to do what’s right, so if the contract requires PII then you should get it. The cost of PII varies, but is not overly expensive in the scheme of things and is easily obtained; a simple search on any of the contractor specific web sites will identify many of the providers. Even better, talk to your specialist contractor accountant who will put you in touch with someone they already know. The cost is usually dependent on the level of indemnity cover, so a policy with £250,000 indemnity cover will cost less than one with a £1,000,000 cover. Premiums are also subject to other factors such as the number of employees covered, your annual turnover, types of contract, client and projects undertaken. If you contract with clients in the United States (US), be prepared for some hefty premiums though … and watch out because basic PII policies usually exclude liability in the US specifically. You may have invested money in computer hardware, software or other business assets. Obviously any motor vehicles are usually properly insured, or at least you would hope so. But it’s not uncommon to forget other business assets, thinking they are automatically covered by your personal household contents insurance policy. If you have valuable assets within the company check to see if they are covered under your household contents policy and if not, which is often the case because the business assets are not owned by you personally, consider either extending that policy or taking out specific business asset insurance. You may find that your insurer will cover basic business owned assets held at home, provided that they are specifically disclosed. If your personal contents insurance does cover business assets don’t simply have your company pay the premium, as this will be a benefit in kind. The taxman will allow some small contribution from the business to cover an appropriate amount for business asset cover, but don’t be too greedy. Employer and Public Liability are two separate forms of insurance that are often combined under one policy; in fact they are often wrapped up into a combined PII policy. Employer’s Liability is a legal requirement where your company has any employees. Although some one-man limited companies are arguably exempted, it is safer to consider Employer’s Liability as a cost of being in business. It is especially relevant where you have some risk under IR35 and is one of the indicators of whether you are genuinely in business. Policies are intended to cover liabilities if an employee is hurt at work or in the case of Public Liability if something happens that injures a member of the public. For example, let’s assume you are at work, and someone trips over your briefcase that you inadvertently left in the aisle next to your desk. If that person suffers some injury then they could take legal action against you and your company. Public Liability Insurance is intended to cover the consequential legal costs and any damages payable. The company, or you personally, can take out policies to cover the cost of professional services including your accountant’s costs defending or acting in respect of tax investigations into the company accounts, PAYE and VAT compliance visits and perhaps, most importantly, IR35 investigations. You can even take out a policy to meet any IR35 tax liability. Be a little wary of some of these policies and take the time to read the terms and conditions. Remember also that IR35 related policies are often only on offer if you are judged to be outside IR35 by the Insurer. Well if that’s the case, why do you need the insurance in the first place? Some would argue that it’s better to go through life with certainty than with risk, so really it’s a decision that each must take based on their own circumstances. But it’s definitely worth thinking about each time you take on a new contract, so speak to your specialist contractor accountant for advice. But, let’s be honest, this kind of risk is actually pretty small and most businesses taking out such policies are those that really have some degree of risk to loss of income from, say, fire or flood. But again, think about your circumstances. If you work from home and, in the event of a fire at home you were unable to work, well maybe you do have some risk you’ve never really considered before. As a permanent employee of some large company you probably took it for granted that when you were sick you were still paid. Or, in the event of death, maybe your family would receive benefits from an insurance policy provided by your employer. Many employers offer to continue your pay when you are sick or long term ill, and those sick pay arrangements gave some sense of security for you and your family. But when you became a contractor you may not have thought of the consequences of being ill, because of course when you are ill you can’t work, your company will no longer be paid and, before long, it will run out of money to provide you with an income. The working world has changed dramatically and a lot of us are working harder and for longer hours. One thing, however, remains unchanged and that’s the fact we need to work to pay the bills and to enjoy holidays, cars and the luxuries in life. Without a regular income, most of us would struggle to get by. Even those of us who have savings or investments would struggle, as they won’t last long when surviving on government benefits. But of course each person’s circumstance is different. If you are unmarried, have no dependents and, well, life is “all about you” then you really only need to think of your immediate needs if you’re ill; but if, like the rest of us, you have family commitments, a spouse, partner or children to think about, your responsibilities are somewhat greater and considerably more demanding. Permanent Health Insurance or Sickness Insurance Policies are designed to pay out when you are ill. There are various policies available and so you can choose how much you want to receive, whether the amount is a proportion of your current salary or a fixed monthly or annual amount. You can even choose how soon after becoming ill your payments will start. As a general rule, the longer you wait for payments to start the cheaper your monthly premium will be, but options exist for payments to start immediately, or after any number of days, weeks or months. You can also choose for how long payments are made, though of course the longer the period the more expensive your plan will be. Some may continue for a fixed period of time or until a fixed date or age. Each policy will have conditions attached to it and it’s important to know what they are, especially with regards to what qualifies as an illness or incapacity to work. You do need proper advice before selecting any policy to make sure that it suits your budget and your requirements. One area you should be careful about is the declared level of income. Some policies provide a fixed amount that is not wholly dependent on your income, but others pay out a proportion of your salary. Make sure the insurer understands how your income is determined; it would be a shame to find that you are not fully covered and don’t receive the benefits you expected, simply because you take dividends rather than salary and your policy is only based on a proportion of salary. These are policies that pay out as soon as you are diagnosed with a critical illness. They are especially worthwhile if, after being diagnosed, you can’t work and although you have sickness cover it’s not going to pay off the big liabilities, especially if the illness is likely to be lifelong. So it’s worth thinking of a combination of sickness cover to meet day-to-day costs and critical illness to take care of your debts so you don’t have to worry about the mortgage or car loan. Some illnesses can be fatal. And, whilst it’s never nice to talk about your death, like taxes it’s inevitable. Hopefully that’s a long way off, but bad things happen and if it were to happen to you, ask yourself who would pay the day-to-day living costs for your family whilst they pick up the pieces. As we’ll see below, life cover can provide funds to pay off big liabilities but, unless you provide a substantial additional capital sum, then the day-to-day bills could still be unpaid. Specific life policies are available that don’t pay out a lump sum, but pay a monthly income instead – usually indexed for inflation, until a specific date or age of the intended recipient. These are called Family Income Benefit Plans and play an important role in making sure your family can live day to day after your death. If you die early, you will probably leave behind some pretty hefty liabilities such as a mortgage on your main home. Life policies can provide a capital sum to pay off those loans, mortgages, or even inheritance (IHT) and other tax liabilities and other big-ticket liabilities. Or simply to provide a large capital sum to be invested by them on your death to provide an income. But, as with Critical Illness Insurance, be careful with Life Insurance … check very carefully the terms and make sure that you provide full details of past illnesses. Again, it’s not uncommon to find insurers refusing to pay out because you did not declare some previous illness or family history of illness. When you die your IHT is calculated on the value of your estate. If your estate receives a large payment under a life policy then there’s a good chance a sizeable element will actually end up with the taxman. Directors of a company have many legal obligations. These actually increased significantly in the recent 2006 Companies Act and, in certain circumstances, if you fail to meet these obligations properly in a manner that ultimately causes a loss to customers, clients, suppliers or even HMRC, then you could be found personally liable as a director. Insurance cover is available to ensure that you have the means to legally defend action taken against you and that can pay out, up to the level of indemnity, in the event that a liability does exist. If the insurance premiums are paid for by your company and the benefit from the policy is payable to the company there is no question that tax relief is allowed and no benefit in kind tax is payable by you. However, as soon as the benefits from the policy are payable to you or your family, or will meet any form of personal financial obligation unrelated to the business activities of the company, the premiums are likely to be taxable as a benefit in kind if you want tax relief in the company for the premiums paid. Of course, the company can pay premiums that are treated as a loan to you, and then covered by expenses, wages or dividends payable to you. There are some specialist exceptions to this, for instance there are some life policies written in such a way as to avoid the benefit in kind charge. So make sure you seek proper advice about the policy and then ask about the tax consequences if you pay, or the company pays the premiums. Everyone’s circumstances are different. Probably the most important thing is to think carefully about your circumstances, what you do day to day and whether there are any risks associated with your work or lifestyle that should be insured. Then think about the people who depend upon you and how would you like to leave them provided if you were no longer around. It’s best to be pessimistic … what is the worst case scenario, and can this be insured? Then go and speak to a properly regulated, qualified and experienced adviser; one who is independent of any one insurance company. It’s worth paying to get the right advice. Sometimes this is payable as a fee, sometimes the advice is paid via commissions; find out how your adviser is being paid in advance to avoid any surprises. Of course you can buy most policies on the internet nowadays, but we’re not all insurance experts and you really want to make sure you are getting what you actually want. So our advice is to get the right advice first! We can’t speak for others, but InTouch Accounting is not an insurance or financial adviser. And, whilst we can suggest areas that should be considered or provide advice on the tax and financial implications of business risk, the nature of different insurances and the treatment of premiums, we don’t make recommendations or suggest specific policies or insurance companies. At InTouch we do, however, strongly believe that contractors should take the issue of insurance very seriously, and contractors should think about their individual needs at least once a year. You should therefore always go to an adviser who is likely to take an interest into the future and not simply sell you a few policies and then disappear onto more profitable cases. I have worked with contractors for many years so I understand contractor concerns as well as the products that can help contractors to protect themselves today and plan efficiently for their future. What protection should you have? l How much could you or should you save in pensions? l How can any benefits be set up tax efficiently? Death in Service (life cover) via life contract rules to avoid costs as a benefit in kind. Income protection to cover loss of earnings through sickness or injury. Retirement planning which includes a review of former schemes and portfolio advice based on your attitude to risk. Corporate and personal investment is an area where you may discover significant advantages based on tax efficient savings, fund performance and real growth even in an economic downturn. Mortgage advice includes research into the best residential and investment property mortgages available on the market. Like InTouch’s personal service, our advice is not off-the-shelf; it carefully takes into account your particular circumstances. Our commitment to contractors means that we are flexible to allow for changes if your circumstances change. Pennymatters’ ethos is to provide advice as simply and transparently as possible to enable you to make an informed choice about what will work best for you. Our clients have access to their own personal website where they can review the performance of any investments and access all policy information. I look forward to having the opportunity to help you by phone, email or in person. I can answer any of your questions and offer advice on how modern contractors are making the most of their limited company trading status. Please call 01202 901 954 or email moreinfo@intouchaccounting.com. Remember that past performance is not a guide to future returns and that the value of investments and the income from them can go down as well as up. Your home may be repossessed if you do not keep up repayments on your mortgage. We charge an initial fee for mortgage advice (usually £199) and then work on a fee or commission basis. If you choose to pay by a fee this will typically be 0.50% of the loan (i.e. £500 on a loan of £100,000). Some mortgages are not regulated by the Financial Services Authority.